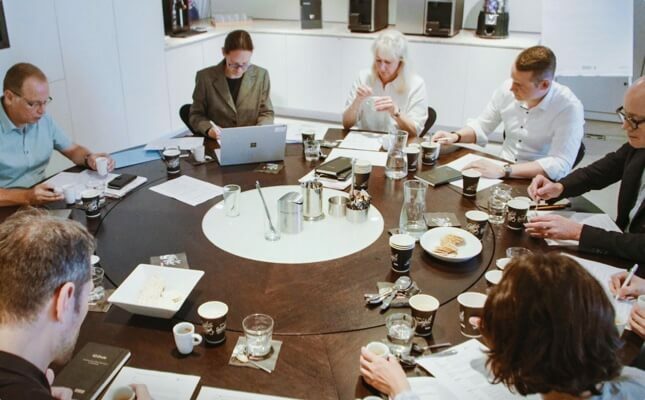 Immerse yourself in the world of coffee with one of our sensory analysis workshops or coffee seminars. Discover the latest technologies and learn more about how you can prepare consistently excellent coffee beverages. Get hands-on with coffee: We expect attendees to actively participate in our workshops. Participants will experience new technologies, learn about the possibilities they offer, and have the opportunity to apply what they have learned immediately. The workshop also includes group tastings and evaluations. The new knowledge can then be used to prepare coffees with the fully automatic coffee machine. Create and evaluate individual taste profiles – in the iQFlow™ Taste Profiling Workshop. Know-how that can only benefit you: Our coffee machines are packed full of the latest knowledge and insights about beans, coffee, coffee preparation using fully automatic coffee machines, and the possibilities created by new technologies. You will consolidate your learning by applying the theory you have learned in practical exercises. Perfect In-Cup Quality – Foundation seminar – coffee knowledge from bean to cup.